Voice Brief is a cool iPhone app that reads out loud whatever appears on your Facebook feed by using voice synthesis technology. The 271 megabyte text-to-speech app also works with Twitter, Gmail, the weather, your calendar, stock prices or any RSS feed. And while normally priced $3.99, it’s available for FREE for the next two hours (5 PM Pacific Time on June 2nd 2011). So grab it from the App Store asap! 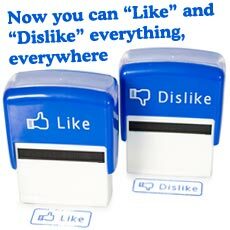 Tap Setting > Edit content > + > (scroll down to) Facebook. Choose your setup: the number of posts to read and whether to include comments or not. 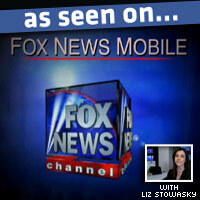 For a demo of how the app processes your FB feed, following this link. 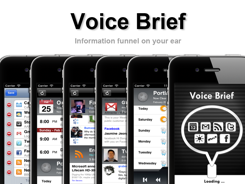 » Get Voice Brief on iTunes. Posted by Pieter on June 2, 2011 at 10:54 PM. Use this trackback if you're linking this story.